Third Temple Closer Than Ever as Search Begins for Eligible Jewish Priests - Breaking Israel News | Latest News. Biblical Perspective. Once the Temple Institute has compiled a list of candidates with verified eligibility, it will begin to train them in the complex preparation of the ashes of the red heifer. 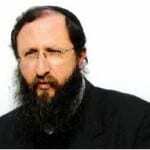 The training will take place at the Nezer Hakodesh, an institute established three years ago to educate priests in the details of the Temple service. The project has implications not just for kohanim, but for anyone interested in taking part in the Temple service. Anyone going up to the Temple needs to be on a high level of ritual purity. Most types of impurity can be removed through immersion in a mikveh (a ritual bath). For ritual impurity imparted through contact or proximity to a dead person, the purification process requires a priest to sprinkle water mixed with the ashes of a red heifer. Today, after thousands of years without a Temple, all people are considered to be on this level of impurity, making the reinstituting of the red heifer ashes an essential part of the return of the Temple service. 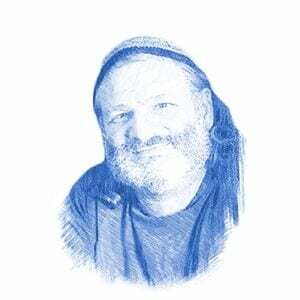 “This is a huge jump for the Temple Institute and a huge leap for the Jewish people. For the first time in 2,000 years, after miraculously returning to the Land of Israel, we are beginning the process of reinstating the Biblical purity of the Jewish priesthood,” Rabbi Richman told JNI. The Temple Institute is a non-profit organization, founded in 1987, which is dedicated to rebuilding the Jewish Temple on Mount Moriah in Jerusalem. Much of its work has been in the areas of education and raising awareness, but it has also made remarkable practical achievements towards turning the Third Temple into a reality. It has recreated over 70 utensils fit for the Temple service, including the gold menorah, the gem encrusted breastplate of the high priest, musical instruments used by the Levites, and priestly garments. 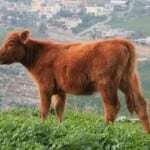 Perhaps its most amazing achievement to date has been the red heifer. After decades of research in how to practically restore the Temple, Temple Institute scholars realized that the first step in the seemingly impossible task was raising a red heifer. Frozen embryos of red angus cattle were implanted in Israeli cattle, introducing the breed to Israel. Biblical law requires that the red heifer be unblemished, and it is forbidden from being milked or impregnated, so must be raised in special supervised conditions. Unlike most other aspects of the Temple service, burning of the red heifer and the use of its ashes to purify do not require ascending to the Temple Mount. This precludes any political complications that may arise, since Jews are currently prevented from praying or performing any rituals at the holy site.